1st century poet and satirist Juvenal had much to say about the Roman obsession with ‘bread and games’: “Long ago the people shed their anxieties, ever since we do not sell our votes to anyone. For the people – who once conferred imperium, symbols of office, legions, everything – now hold themselves in check and anxiously desire only two things, the grain dole and chariot races in the Circus”. The very phrase panem et circenses denotes this nigh unhealthy preoccupation with ‘materialistic’ stuff – a scope whose parallel can certainly be drawn in our modern terms. 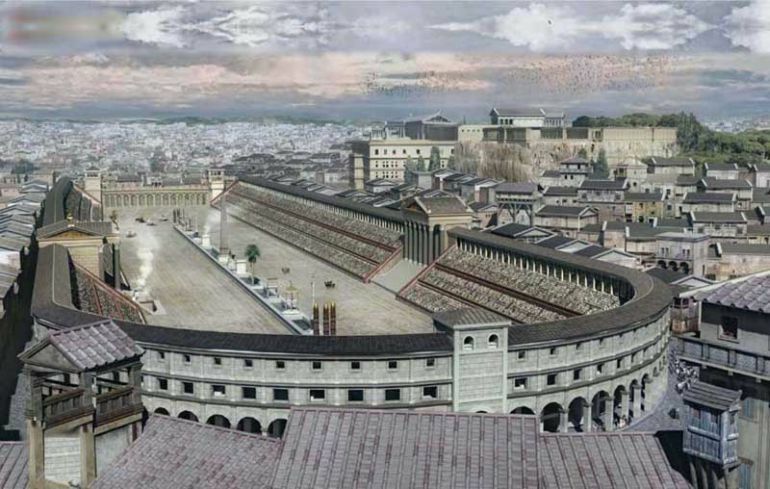 And mirroring our fascination with many an athlete and celebrity sport-star, the ancient Romans possibly boasted the highest paid athlete in the history of mankind. We are talking about one Gaius Appuleius Diocles – who according to classical studies professor Peter Struck (at University of Chicago), amassed around some 35,863,120 sesterces in prize money. That is equivalent to about a whopping $15 billion or £9.6 billion! So who exactly was Gaius Appuleius Diocles? Well according to most sources, the athlete extraordinaire mostly likely hailed from Lusitania (present-day Spain/Portugal), possibly born in Emerita Augusta in 2nd century AD. Almost replicating a Formula 1 career progression, Diocles starting his gig as a charioteer at a young age of 18 for the so-designated White Team. By the age of 24 he switched to the Green Team, and finally by the age of 27 (till his retirement at 42), he made his move to the Red Team. When translated to figures, his career spanning over 24 years, resulted in 1,462 victories out of the 4,257 four-horse races. In fact, his specialty lied with four-horse races, and most of his enthralling wins came after he caught up with his competitors from behind. Now it should be noted that the prize money of 35,863,120 sesterces was won only in competitions, without the added benefits of modern-day sponsorship and advertisements. Furthermore, being a well-paid charioteer was not as glamorous (or safe) as the monetary scope suggests. 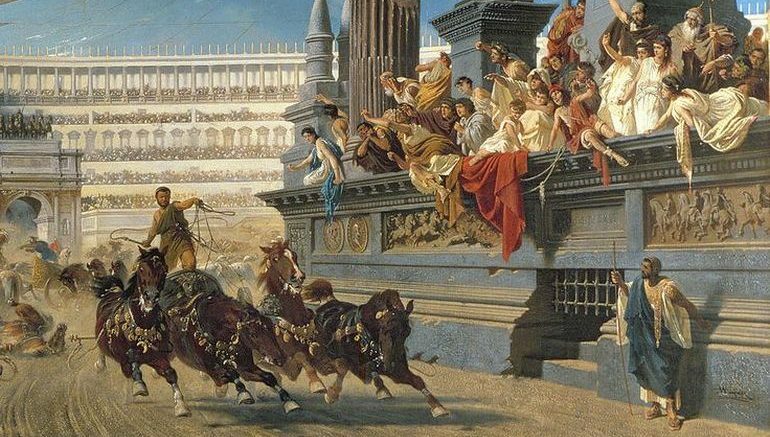 To that end, chariot racing was possibly the oldest spectator sports of ancient Rome, with its origins going back to 6th century BC when Rome was still a kingdom. 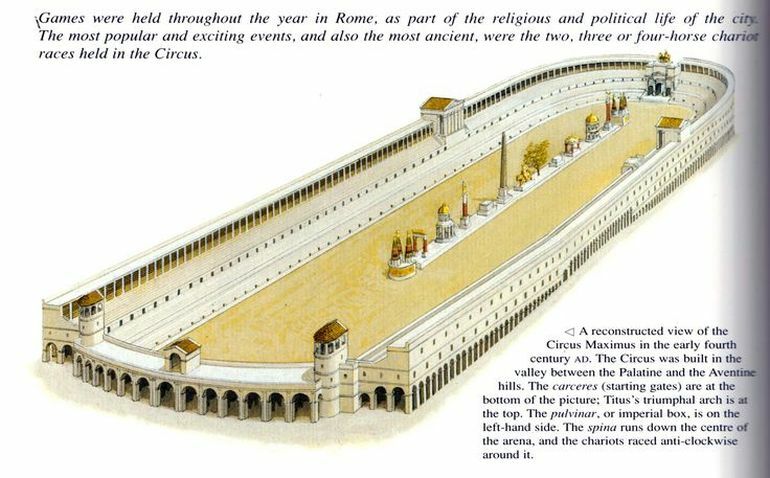 The immense popularity of this sporting ambit was aptly epitomized by the grandeur of Circus Maximus, the oval-shaped ‘stadium’ with a capacity of 150,000 people, and gargantuan dimensions of 620 m of length (2,033 ft or 678 yards) and about 140-150 m (492 ft or 159 yards) of width (by the time of Augustus). The inside track, covered in sand, boasted an area of 43,000 sq m or 465,000 sq ft – which is equal to more than 8 American football fields! In spite of such imposing dimensions, the charioteers had to compete through seven exhilarating yet grueling laps that took place in the oval circuit. As for their safety, the racers were only furnished with a leather cap (helmet), shin guards and a rudimentary chest armor. So in a practical scenario, the racers could get seriously injured (which sometimes even turned into fatalities), especially if their fast swerving chariots were slightly imbalanced – thus resulting in unfortunate capsizing episodes. Twenty-four years of winnings brought Diocles – likely an illiterate man whose signature move was the strong final dash – the staggering sum of 35,863,120 sesterces in prize money. His total take home amounted to five times the earnings of the highest paid provincial governors over a similar period—enough to provide grain for the entire city of Rome for one year, or to pay all the ordinary soldiers of the Roman Army at the height of its imperial reach for a fifth of a year.